Investors are vital in far more ways than just providing cash. Depending on the arrangement, the right group can become unofficial consulting firms or even assist in day-to-day operations. My current partner, Ryan Goldschmidt, first invested in a nightlife venue he had neither the experience nor the skills necessary to operate. After an exhaustive search, he found a company willing to invest in the buildout with the skills to operate a large venue and the capital needed to make the necessary improvements. Aaron Pitman and Ryan Goldschmidt are founders of RA Domain Capital, a domain name development firm. Aaron is an angel investor and an entrepreneurial thought leader. 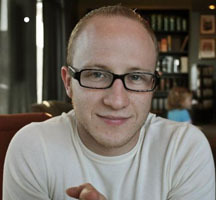 He welcomes anyone to reach out to him through Twitter (@aaronpitman) or you can visit him directly at aaronpitman.com.